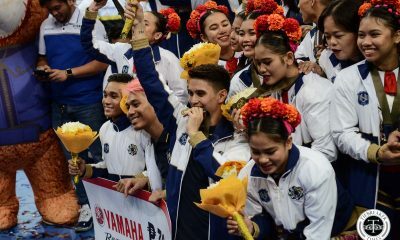 For the past five years, the National U Pep Squad has established their UAAP Cheerdance dominance. Known for their flawless runs and daredevil stunts, they first bagged third place in 2012 and eventually enjoyed their spot on the top for four years straight. 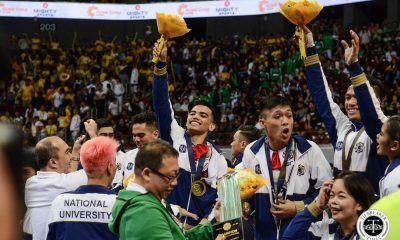 Gunning for a fifth straight crown this year, it came as such a huge heartbreak for the Bulldogs to never even have their university called during the awarding. They were filled with emotions as they exited the mats empty handed. This year is the first time that NU missed a spot since 2012. Adding salt to the wounds, almost half of the team were comprised of graduating cheerdancers. But after a very emotional post-event huddle, team captain Aiza Aleman addressed media still with a composed and fierce attitude. “Masakit kasi four-peat champions kami tapos di namin nakuha yung five-peat, nag fail kami. Pero nung nag fail kami, lalong lumakas yung faith namin kay God,” she said. 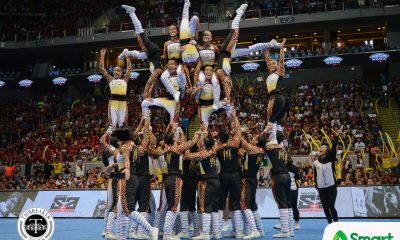 NU came out with very difficult stunts that they are known for but it was the flawlessness that lacked. They started their routine with errors but eventually regained their footing. 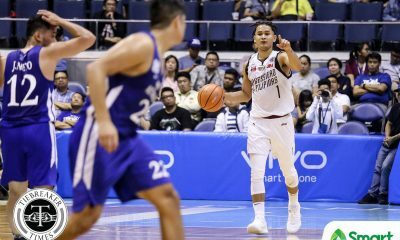 However, it was those errors that ultimately damaged their five-peat hopes. 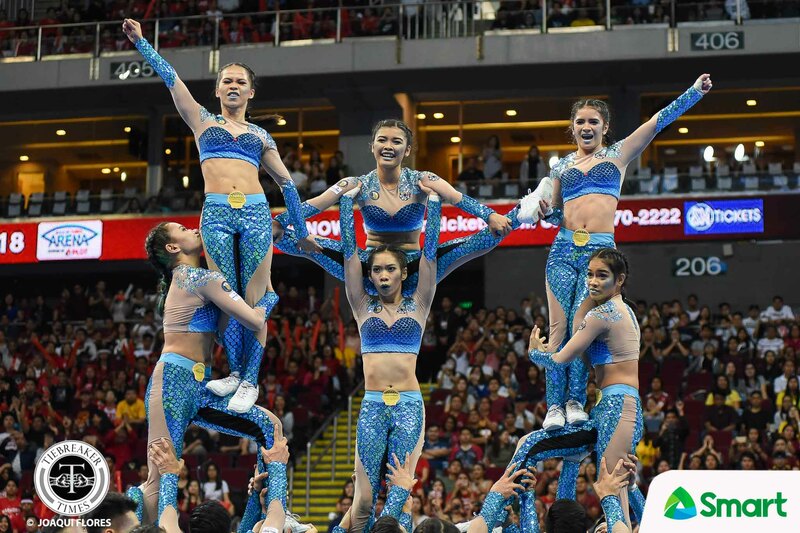 With a score of 610.50, NU ranked fourth with UE (634.50), UST (638.50), and Adamson (663.50) above them. The team captain shared that the whole team were disappointed with the result especially with all the training they did for the whole year. “Buong season na ito, all out talaga kami. Di nawala yung love and care kasi ‘tong year na ‘to, sobrang madalang na yung injury namin kasi nga nandun na yung pag-iingat ng bawat isa. Ginawa namin yung best namin, nag all out kami,” she expressed. The graduating team captain was part of the NU champion team for four years. 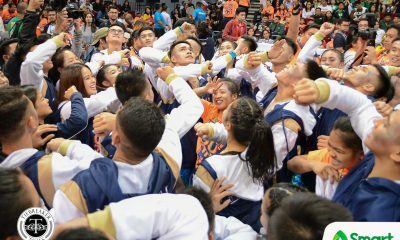 Even though this is not the exit she had imagine for herself as an NU Bulldog, she is still very proud to be part of the cheer dance legacy NU has carved. 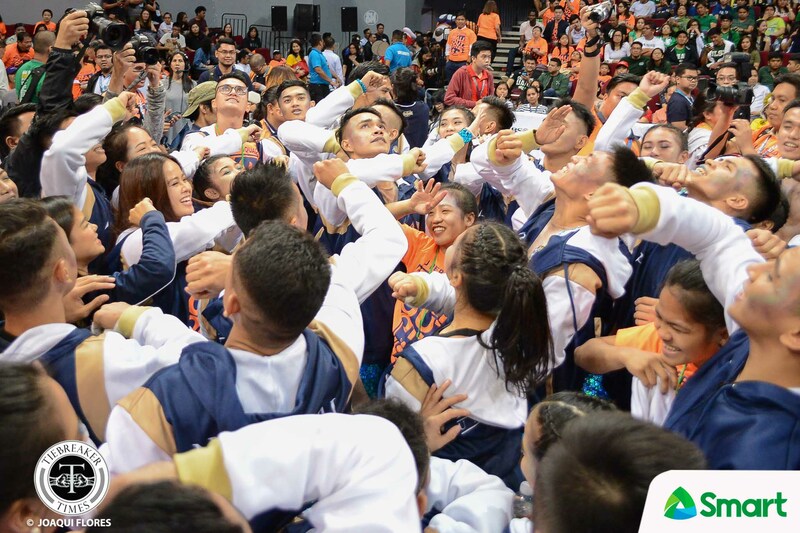 “Since first year up to know, sobrang saya ko kasi kahit di namin nakuha yung championship ngayon, kung ano yung NU nung first akong pumunta, ganun pa rin siya haggang sa last ko at pagalis ko,” the Sports and Wellness Management student reflected. This year may have been a painful experience for the Bulldogs but they promised that this will only fuel them to be better next year.